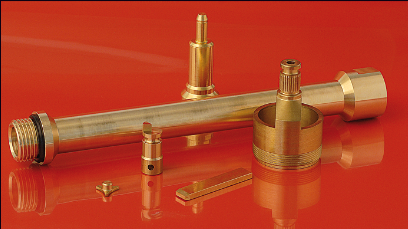 DAMA is a specialist in machined parts for the electrical industry and its applications. We machine various types of parts according to your drawings. For this industry, we mainly machine brass, bronze and copper (CUA1, CuTe, CUeTp, CW608N). Our workshop, made up of a homogeneous CNC range, allows us to manufacture turned parts in medium and large series. We can make small diameter parts from 3 mm up to 70 mm. Contact us for electrical turned parts.